I appeal to you therefore, brothers, by the mercies of God, to present your bodies as a living sacrifice, holy and acceptable to God, which is your spiritual worship. Do not be conformed to this world, but be transformed by the renewal of your mind, that by testing you may discern what is the will of God, what is good and acceptable and perfect (Rom. 12:1-2). 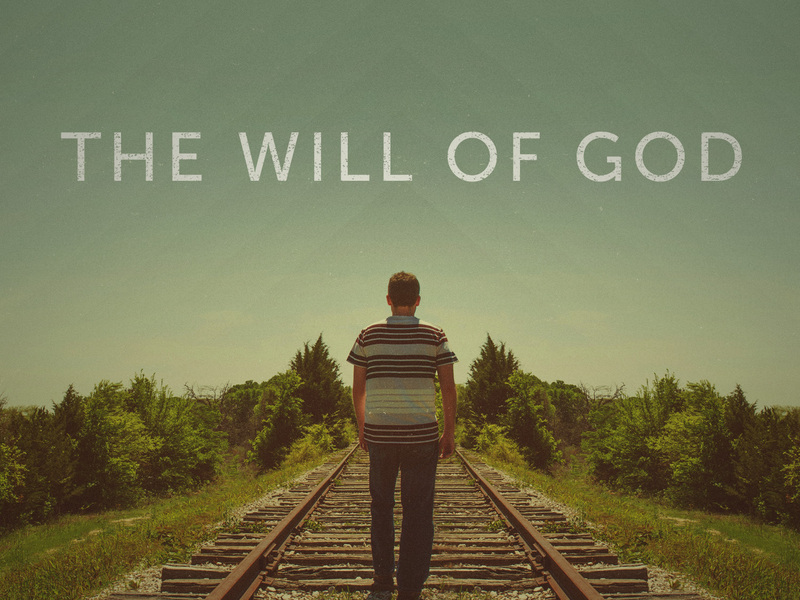 Are You Committed to Doing God's Will? Discovering God’s revealed will for your life isn’t difficult. It’s found in the Bible. But doing God’s will is more challenging. Paul urges his readers to “present [their] bodies as a living sacrifice, holy and acceptable to God” (v. 1b). We don’t offer literal sacrifices to God. Christ’s death on the cross was the ultimate sacrifice for our sins. Christ has fulfilled and brought to an end the OT sacrificial system. But we do offer “spiritual sacrifices” (1 Peter 2:5). For example, Hebrews 13:15 tells us to "continually offer up a sacrifice of praise to God, that is, the fruit of lips that acknowledge his name" (cf. Rom. 15:16; Phil. 2:17; 4:18). “Bodies” refers to the entire person. “It is not only what we can give that God demands; he demands the giver" (Douglas J. Moo, The Epistle to the Romans, p. 750). God’s will is that you give your life completely to God. The sacrifice of our lives to God is described three ways. It is “living.” Christians “are a ‘living sacrifice,’ meaning that they are alive from the dead since they enjoy new life with Christ (6:4). ‘Living’ also means that they will not be put to death as OT sacrifices were…” (ESV Study Bible, p. 2178). It is “holy.” This means that “the person is wholly dedicated, ‘set apart’ from the world and belonging to God” (Grant R. Osbore, Romans, p. 319). It is “acceptable to God.” OT sacrifices were said to be “pleasing” to God (see Ex. 29:18, 25, 41). Paul gives the why and the how of doing God’s will. 1. Doing God’s will is the right response to what God has done for you. “I appeal to you therefore, brothers, by [because of] the mercies of God” (v. 1a). “All that Paul has written thus far may be summed up under the heading of the mercy of God in action. Paul has just summarized that universal mercy of God (11:30-32) and expressed praise to God for it (11:33-36). Now he calls Christians to respond” (Moo, p. 749). Offering your life as a sacrifice to God “is your spiritual worship” (v. 1c). The Greek word for “spiritual” (logikos) could mean either “reasonable” or “rational.” “If [‘reasonable’] is correct, then the offering of ourselves to God is seen as the only sensible, logical and appropriate response…. If ‘rational’ is correct, then it is ‘the worship offered by mind and heart’ (REB), spiritual as opposed to ceremonial, ‘an act of intelligent worship’ (JBP), in which our minds are fully engaged” (Stott, The Message of Romans, p. 321). 2. Doing God’s will requires a re-programming of your mind. “Do not be conformed to this world, but be transformed by the renewal of your mind” (v. 2a). “This is Paul’s version of the call to nonconformity and to holiness which is addressed to the people of God throughout Scripture” (Stott, p. 322). “Do not love the world or the things in the world. If anyone loves the world, the love of the Father is not in him. For all that is in the world—the desires of the flesh and the desires of the eyes and pride in possessions—is not from the Father but is from the world. And the world is passing away along with its desires, but whoever does the will of God abides forever” (1 John 2:15-17; cf. James 4:4). The Greek word for “transformed” (metamorphoomai) is used of Jesus’ transfiguration (see Matt. 17:2; Mark 9:2; cf. 2 Cor. 3:18). It speaks of a complete change. The transformation takes place “by the renewal of your mind” (cf. Rom. 1:28). It’s an internal process. “By testing you may discern what is the will of God, what is good and acceptable and perfect (v. 2b). God’s will is “good and acceptable and perfect.” “When [Paul] speaks of the good, well pleasing, and perfect, the focus is on what is true in God’s sight” (Thomas R. Schreiner, Romans, p. 648). If God has already given his Son for your salvation, you can expect that his will for your life will be perfect. Since God loves us, what is “good and acceptable and perfect” to him will be the same to us. “The secret things belong to the LORD our God, but the things that are revealed belong to us and to our children forever, that we may do all the words of this law” (Deut. 29:29). We are most concerned with God’s will when we face the big decisions of life. I don’t recommend the Random Verse Method. 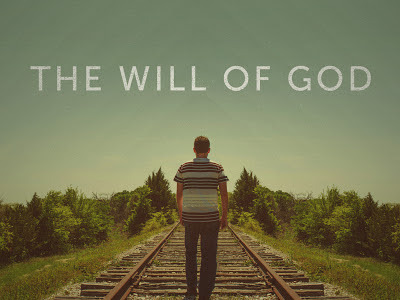 The will of God is an important subject in the Bible. “Are not two sparrows sold for a penny? And not one of them will fall to the ground apart from your Father” (Matt. 10:29). God “does according to his will among the host of heaven and among the inhabitants of the earth; and none cay stay his hand or say to him, ‘What have you done?’” (Dan. 4:35). “Come now, you who say, ‘Today or tomorrow we will go into such and such a town and spend a year there and trade and make a profit’—yet you do not know what tomorrow will bring. What is your life? For you are a mist that appears for a little time and then vanishes. Instead you ought to say, ‘If the Lord wills, we will live and do this or that’” (James 4:13-15). There are many difficult questions about the will of God. Two common questions: (1) If God controls everything, does it really matter what I do? (2) If everything happens according to God’s will, is God responsible for the evil in the world? These questions are impossible for us to answer unless we understand that “the will of God” has two meanings. Based on what Deuteronomy 29:29 says, there is both a secret will of God and a revealed will of God. God’s secret will is his sovereign will. His revealed will is his moral will. 1. God’s sovereign will is what he determines to happen. “The secret things belong to the LORD our God” (Deut. 19:29a). We don’t know God’s sovereign will until it happens. This will always comes to pass. The verses above (Matt. 10:29; Prov. 16:9, 33; Dan. 4:35; Eph. 1:11; James 4:13-15) refer to God's sovereign will. 2. God’s moral will is what he commands us to do. “The things that are revealed belong to us and to our children forever, that we may do all the words of this law” (Deut. 29:29b). We know God’s moral will because he has revealed it to us in the Bible. This will can be broken. Obviously, God’s sovereign will is accomplished when his moral law is obeyed. But what about when God’s moral law is disobeyed? Joseph said to his brothers who years earlier hated him and sold him as a slave, “As for you, you meant evil against me, but God meant it for good, to bring it about that many people should be kept alive, as they are today” (Gen. 50:20). God has given us the ability to break his commands, but he doesn’t approve of our sin. Joseph’s brothers were responsible for their evil actions even though God used what they did to accomplish his sovereign will. The crucifixion of Jesus is the best example of God accomplishing his sovereign will through the breaking of his moral will. Jesus “fell on his face and prayed, saying, ‘My Father, if it be possible, let this cup pass from me; nevertheless, not as I will, but as you will” (Matt. 26:39). “It was the will of the LORD to crush him” (Isa. 53:10). “The true mark of spirituality is seen in those seeking to know the will of God that is revealed in His [moral] will. It is the godly person who meditates on God’s law day and night. While we seek to be ‘led’ by the Holy Spirit, it is vital to remember than the Holy Spirit is primarily leading us into righteousness” (R. C. Sproul, "The Will of God").